Assorted Gold and Diamond Vintage jewelry, 4 items total. 1st item: 18K white gold filigree bar brooch with one round brilliant cut diamond and two round single cut diamonds, 2-1/4" L, 3.4 grams. 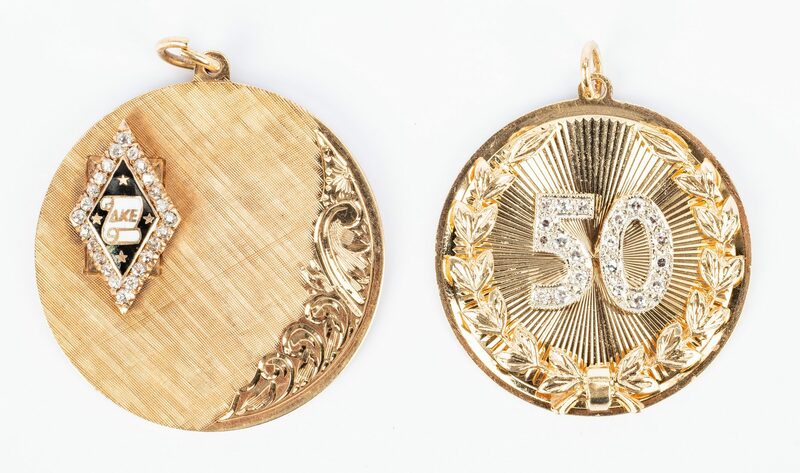 2nd item: 14K yellow gold disk pendant with laurel leaf spray surround, center containing 20 round single cut diamonds in white gold "50" figure, back engraved and dated 3-21-75, 1-1/4" dia. 10.1 grams. 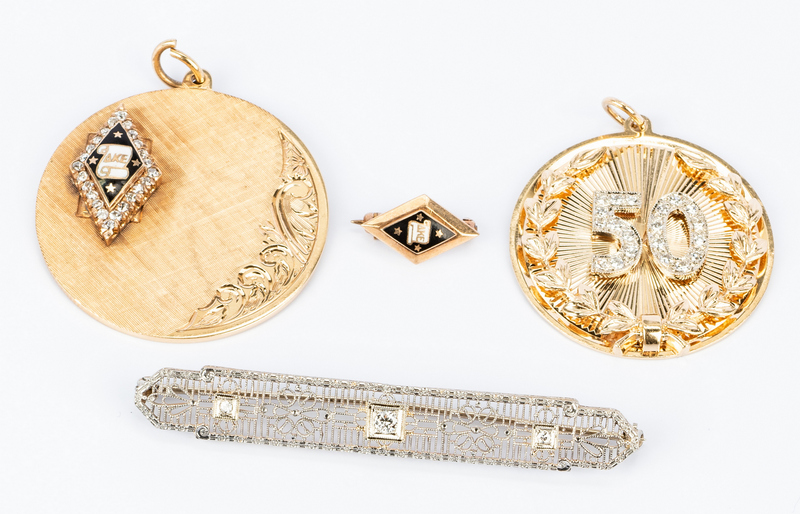 3rd item: 14K yellow gold round disc pendant, florentine and acanthus leaf front with applied black enameled Delta Kappa Epsilon fraternity pin holding old mine cut diamonds, 1-3/8" dia. 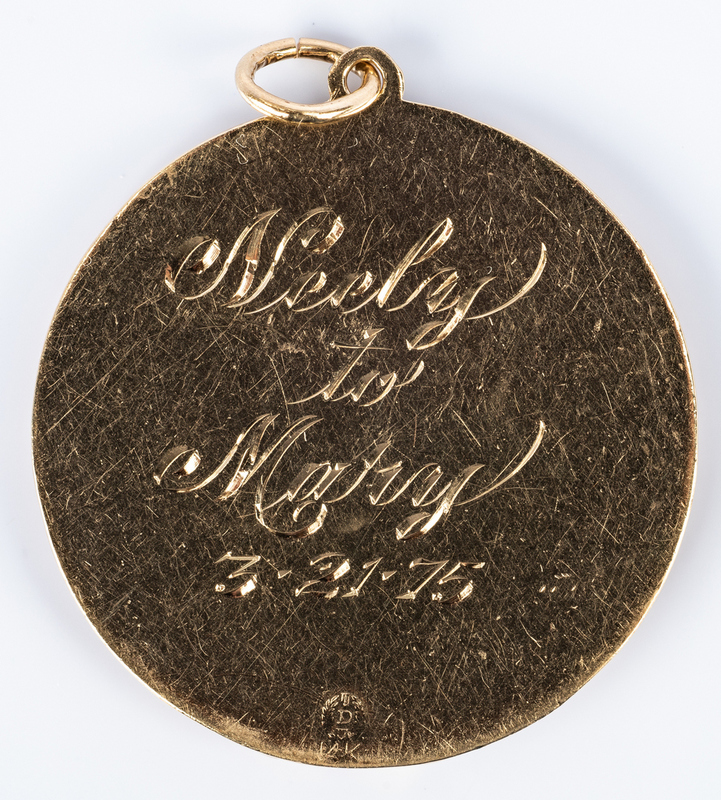 Engraved and dated on back. Marked 14K. 18.2 grams. 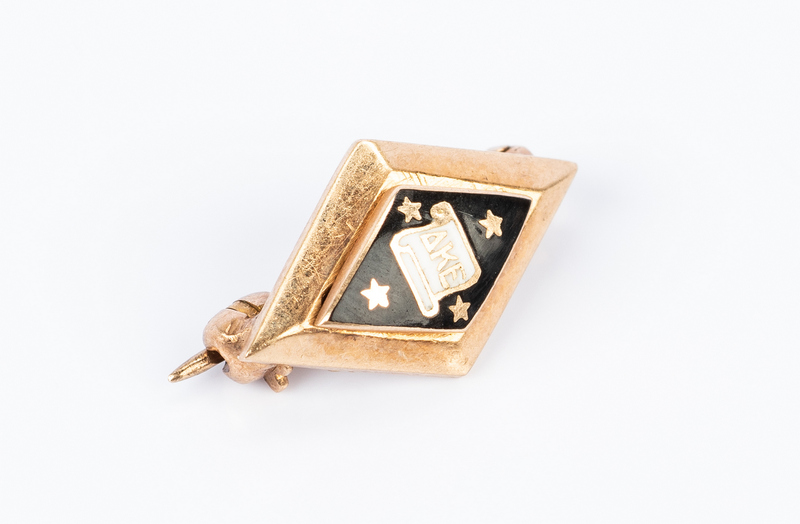 4th item: 14K yellow gold black enameled Delta Kappa Epsilon fraternity collar pin/pendant, marked 14K, 9/16" H, 1.7 grams. (30 grams/3 items 14K) Provenance: Nashville, TN estate. CONDITION: Overall very good condition with some minor wear due to age.